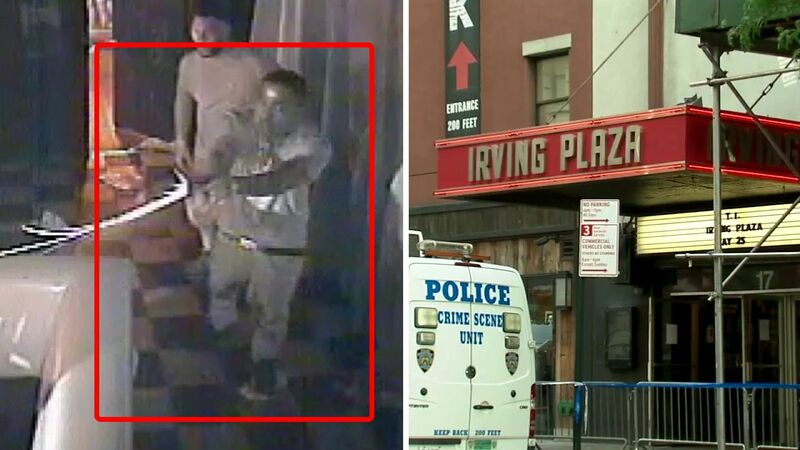 UNION SQUARE, Manhattan (WABC) -- Rapper Troy Ave was released on bail Monday following his arrest in connection with a shooting at a concert in Manhattan in May. The rapper is charged with attempted murder in a May 25 shooting at Irving Plaza, which occurred just before T.I. 's performance. Surveillance cameras captured video of Troy Ave - whose real name is Roland Collins - firing a gun inside the green room at the venue. He was also shot during the ordeal. Ronald McPhatter was shot in the stomach and later died at the hospital. Police have not charged anyone in connection with his death, as they're trying to pinpoint who pulled the trigger on the gun that killed him. Troy Ave has proclaimed his innocence in a rap song that was recorded over the phone from Rikers Island. "I'm innocent, unless you charging me with being real from the very beginning," he rapped. "I'm innocent. That's a fact though." During the hearing Monday, prosecutors alleged that Troy Ave and his entourage transported multiple guns to and from the venue. They said three loaded hand guns were found in a trap in Troy Ave's car shortly after McPhatter was killed. Prosecutors also said Troy Ave's DNA was found on each gun; including the gun that was used to kill McPhatter.